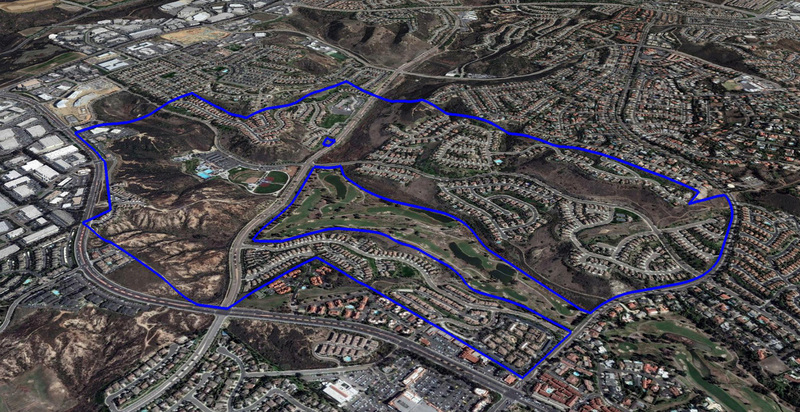 The La Costa Greens master plan takes advantage of views of the natural open space and the adjoining golf course. It was designed to blend the individual neighborhoods with the landscape and views. The project provides a friendly pedestrian trail system that links the individual neighborhoods to open space areas and community amenities. The project had an existing lake that the city requested be kept. The lake was worked into the design and was incorporated as a community amenity.